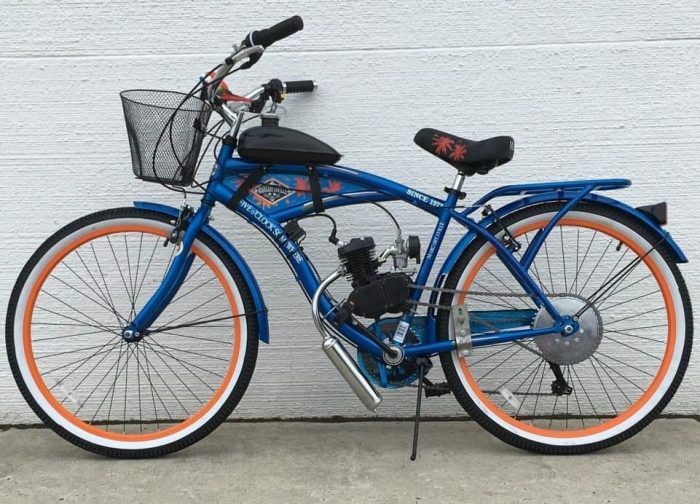 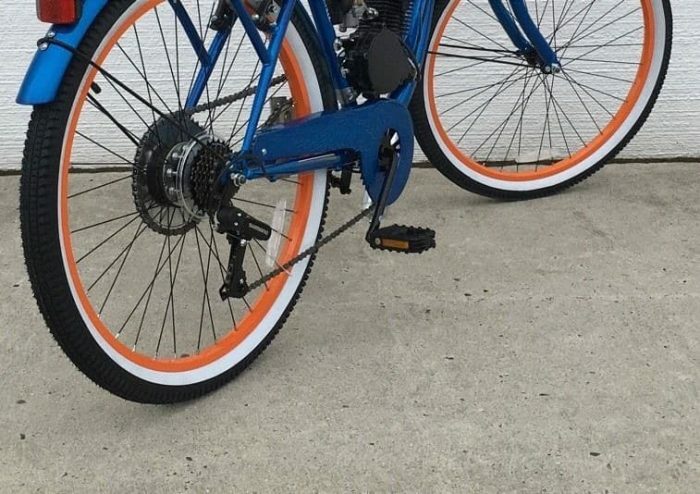 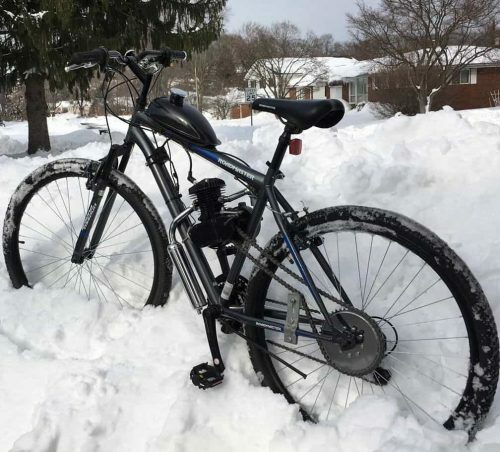 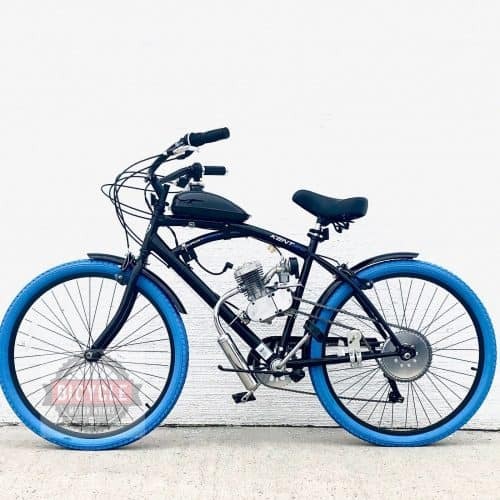 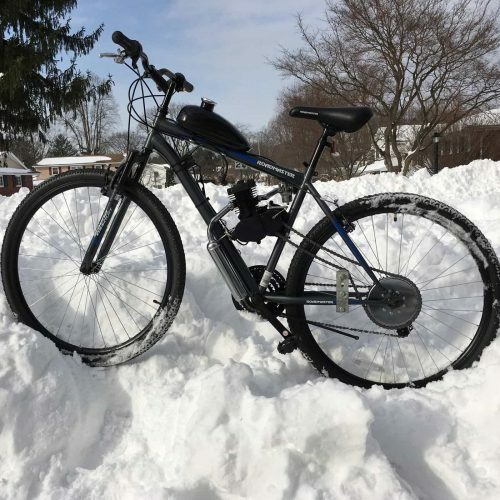 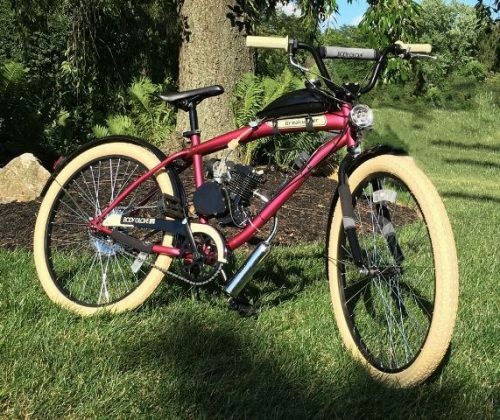 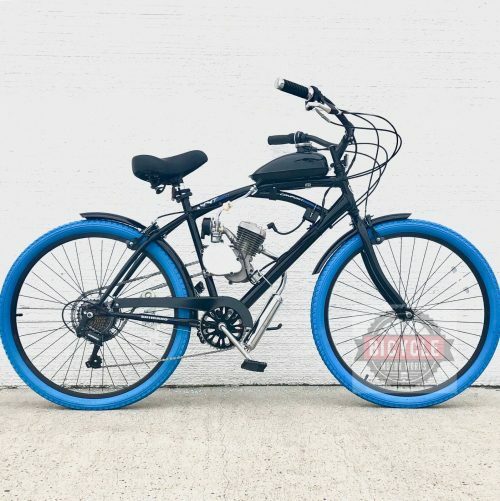 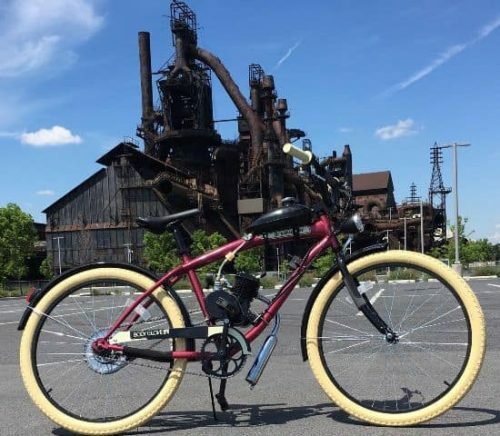 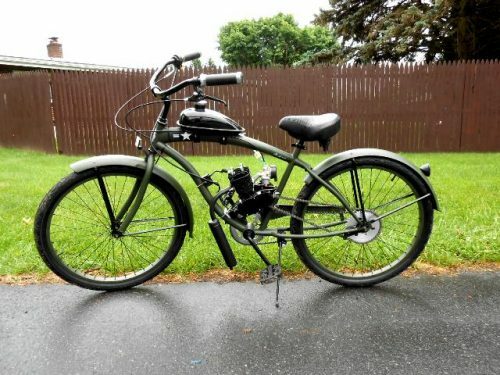 This super chill 26″ cruiser bicycle includes a peppy 66cc bike engine kit and installation instructions. Everything you need to make this happy camper… well… happy! 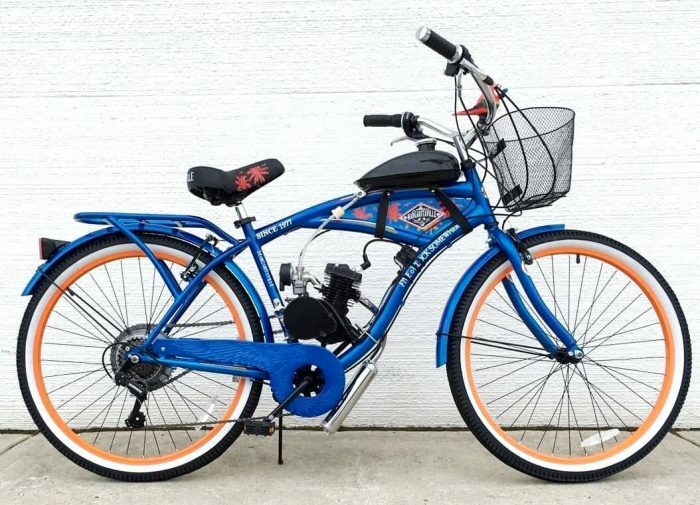 Jimmy Buffett fan, or not, you’ve got to admit this is one chill ride. 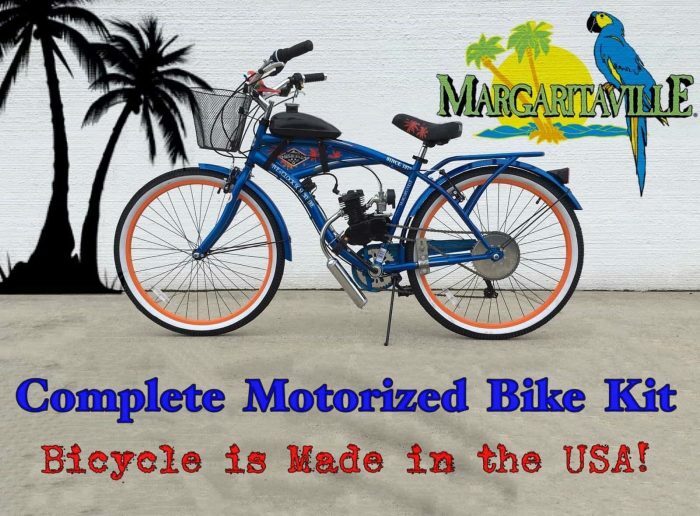 Just like Abe Lincoln’s beard, Aerosol cheese in a can, and Jimmy Buffett himself – This bike is MADE IN THE USA! 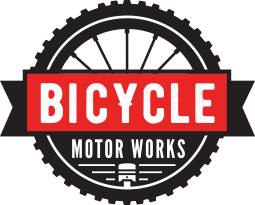 You get the complete bike & complete engine kit in 2 separate boxes, and everything you need to put this motorized bike together is included. 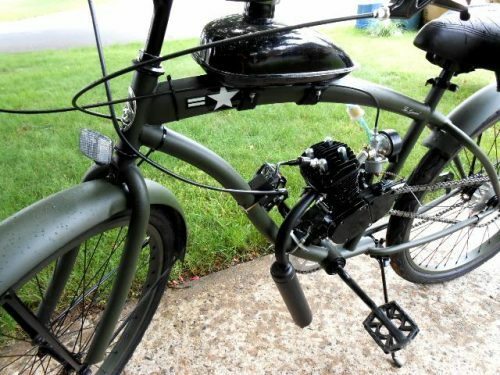 Everything except the tools that is. 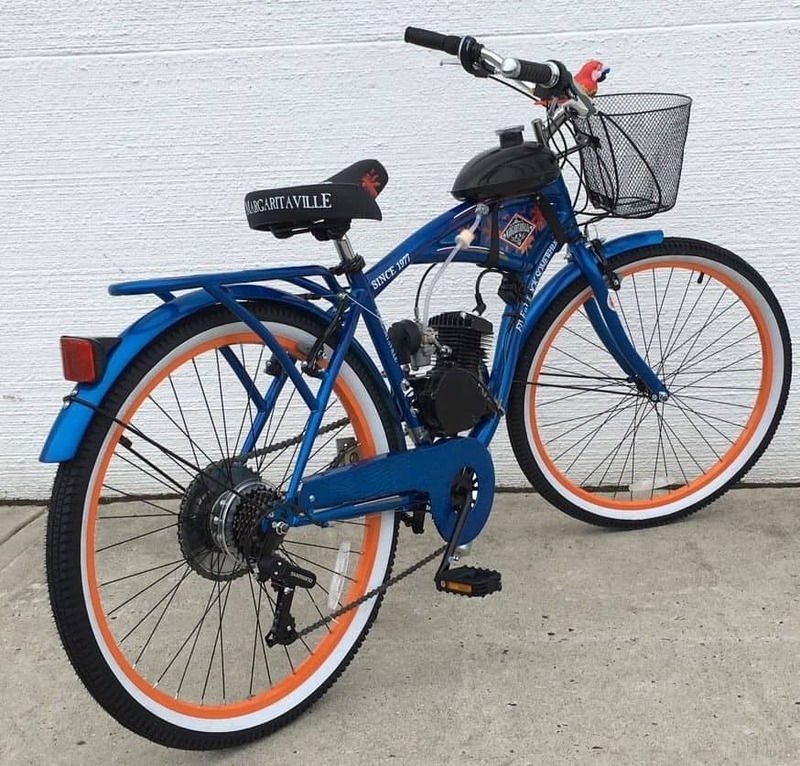 -decals on bike can easily be removed.